Welcome back to March Muffin Madness (MMM)! Today I begin highlighting the fabulous muffin recipes from the participating bloggers and sharing the daily giveaways here on gfe! You’ll also want to check out her Paleo Sweet Potato Muffins recipe, which has been the most popular recipe from the last March Muffin Madness event. 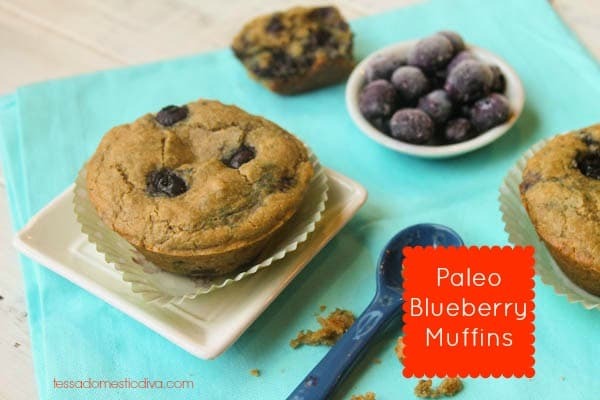 Head over to Tessa’s blog to grab her Paleo Blueberry Muffins recipe and be sure to leave a comment on her post as that’s an additional entry for the overall/grand prize giveaway. 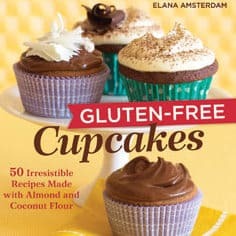 Today’s prize is Gluten-Free Cupcakes: 50 Irresistible Recipes Made with Almond and Coconut Flour from Elana Amsterdam. You probably know my good friend Elana from her terrific blog, Elana’s Pantry. Elana is also one of the bloggers participating in MMM! I’ve written about this lovely cookbook from Elana in the past. The 50 cupcake recipes really are irresistible! Because they’re grain free and healthier, they bridge the gap between muffins and the typical sugar-laden cupcakes. Read my review and grab our favorite cupcake recipe from this cookbook, Marble Cupcakes. 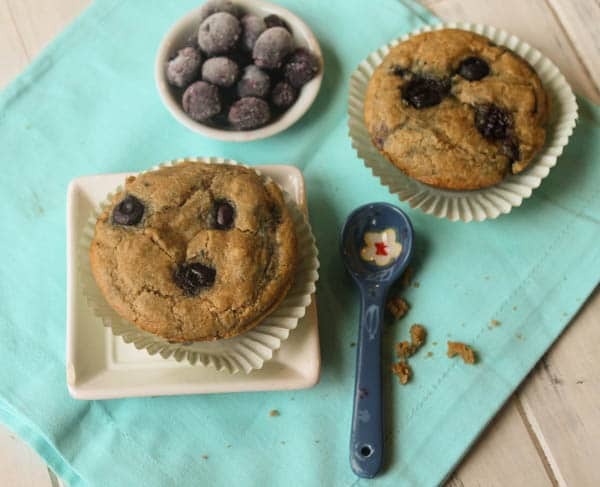 Be sure to enter the overall/grand prize giveaway below and come back tomorrow for another terrific gluten-free muffin recipe and another daily giveaway. Remember that commenting on every post during the MMM event gives you additional entries into the grand prize drawing, which includes ½ gallon of Hidden Springs Vermont organic maple syrup, USA Bakeware 12-cup muffin pan, Kettle & Fire bone broth (thanks to the folks at Kettle & Fire! ), 5-lb bag of Honeyville almond flour, Cuisinart ice cream maker, Paderno World Cuisine vegetable slicer/spiralizer, Crockpot casserole slow cooker, Instant Pot pressure cooker, and, finally—you’re going to love this grand prize sponsored by Blendtec!—Blendtec Designer 625 with Wildside+ jar and Twister jar. There will be winner per prize—woot! You can see the listing of daily prizes and the complete lineup of bloggers and recipes in the MMM kickoff post. See you again tomorrow! 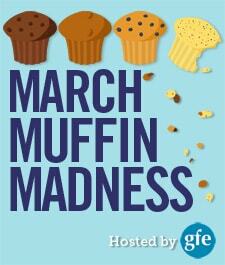 « March Muffin Madness–It’s Back and Better Than Ever! I checked this cupcake book out from the library a long time ago and loved it! One of my kids has to be grain-free, sugar-free, and many other -frees…would love to go through this book with her. I love Muffins of all kinds. i would love to win this prize. Awesome recipe, brilliant prize offer, many thanks! Anxious to try the blueberry muffins! my grandson is GF and I keep trying to find a good one for him to take to school for snack. Thank you! as always, I am looking forward to seeing all the new entries and I am grateful for all your hard work in putting this stellar event together Shirley!! I’m looking forward to all the muffin recipes that will be shared on here! Thank you! I love a classic blueberry muffin and this one looks perfect! the muffins look so good. I would love to have the cookbook as I love baking with almond flour. These muffins look yummy! I will have to save the recipe to try them soon. Wow, so many kitchen tools! I would love the Blendtec. It would be so useful! Mmmm… Cupcakes…. And I have tons of coconut flour, lol. I’ve wanted this book for 5years!! I’ve wanted this book for the past 5 years!! Looking forward to a chance to win this book and try the great recipes!